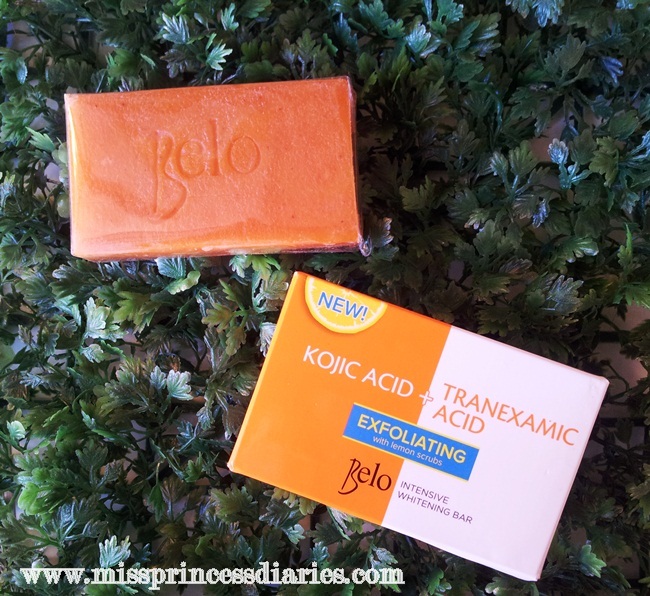 Belo Intensive Whitening Bar Kojic acid + Tranexamic acid with exfoliating lemon scrubs. 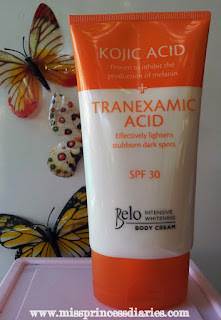 It is said to be even better in whitening because unlike the popular brands in whitening that only consist of Kojic acid, this one is combined with Tranexamic acid that is made for dark spots. It also has mini exfoliating scrubs that helps to remove rough and dead skin cells. It is thinner than your usual soap and it is easily melted so you need to buy as often as usual. The smell as expected isn't that pleasing unlike other beauty bars. Since it has Kojic acid in it, I expected that it stings on the skin but good thing, this soap doesn't or maybe I can say it is so mild that I really don't have to bother. You can feel that every after bath, it doesn't only deeply cleanses and exfoliates your skin but it also moisturizes. It is best paired with the body cream but the soap itself isn't drying on the skin. Belo Intensive Whitening body cream Kojic acid + Tranexamic acid SPF 30. A cost effective, hypoallergenic whitening body lotion tandem with the whitening bar. 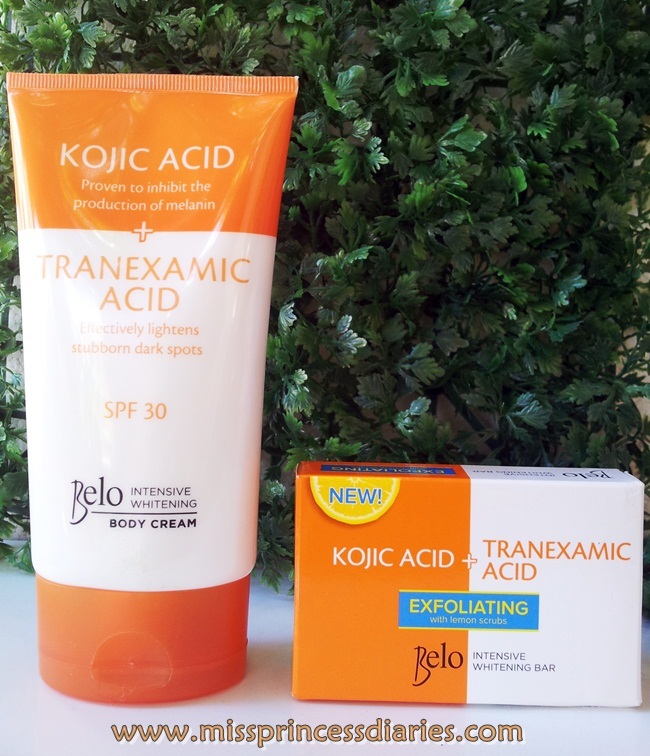 These duo works well in achieving that Belo-beautiful skin we all wanted. It comes in a 150 ml tube that is bigger than what I expected for only 199.00 pesos. It is a non-sticky lightweight cream that can easily be blended on skin. It also has a pleasant, flowery scent. The active ingredients effectively moisturizes my skin as it lightens. It leaves my skin soft and smooth. Since I have an uneven skin tone, I put the lotion targeting areas with dark spots expecting it to lighten. Another thing, it has SPF 30,which I am always looking for with lotions/creams, that protects my skin against harmful rays that will cause further skin damage. I've read a lot of positive feedback on this product that's why I'm really expecting a good results for this one. As of the moment, I've seen no significant lightening effects on my skin after a week of use. These products are still on my testing arena and I will update you as soon as I had a fair span of time using this products. Nonetheless, I will still post a full review of this products.